The clear glass panel is 10mm CE Certified Toughened Safety Glass. The balcony is delivered as two separate parts. 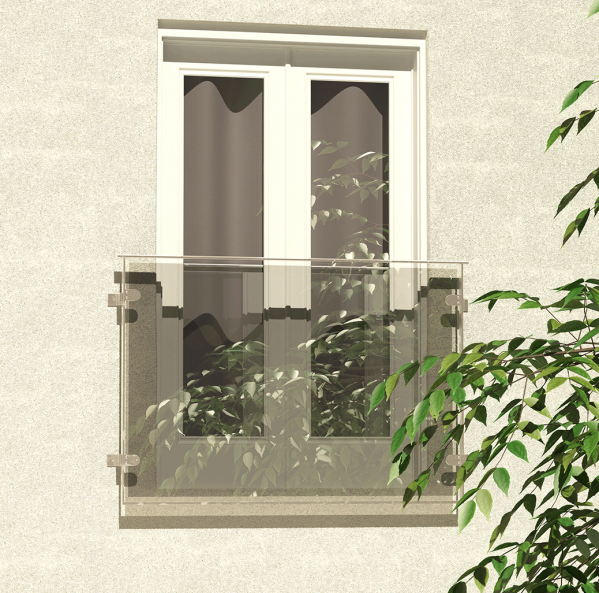 The Overall height of the balcony is 1100mm (1.1 Mtr) which meets the current UK building regulations. The Runswick glass and steel balcony combination balcony. 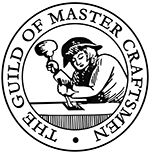 Named after the pretty seaside village in North Yorkshire known for its beautiful coastal views. 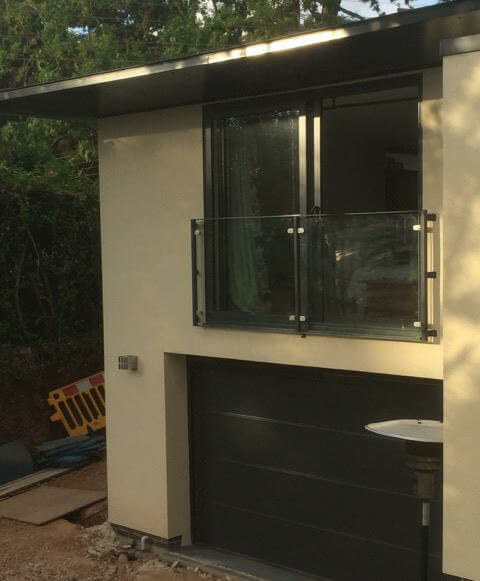 Shown here with a silver gloss powder coated frame, the Runswick balcony is very popular with our customers who require a simple wall mounted glass balcony. The steel frame makes the Runswick a very versatile balcony with its simple mounting design. The top steel rail is made from 40mm x 12mm soft touch convex bar. The remainder of the frame is made from 40mm x 12mm flat bar. Custom sizes will use 40 x 40 Box Section for the left and right frame legs. Mountings holes are drilled at 12mm. 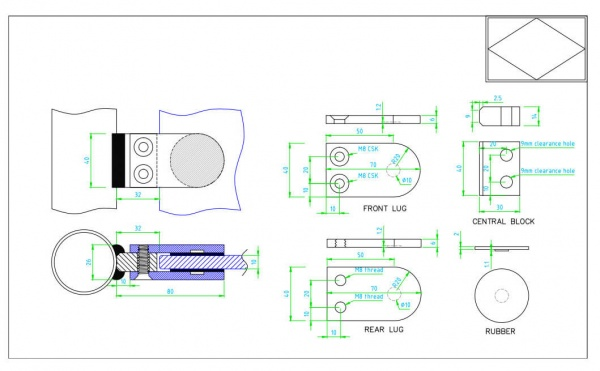 These are designed to suit M10 fixings. The mountings are welded to the outer frame of the balcony. 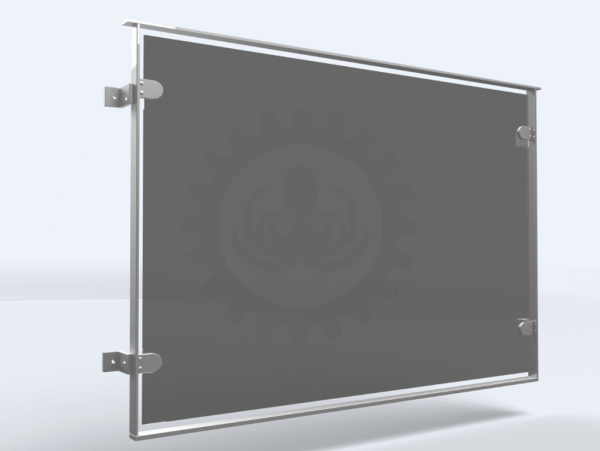 The clear glass panel is held in place with four BZP (Bright Zinc Plated) steel glass mountings. These are fixed to pre-welded tabs on the frame, making installation simple. 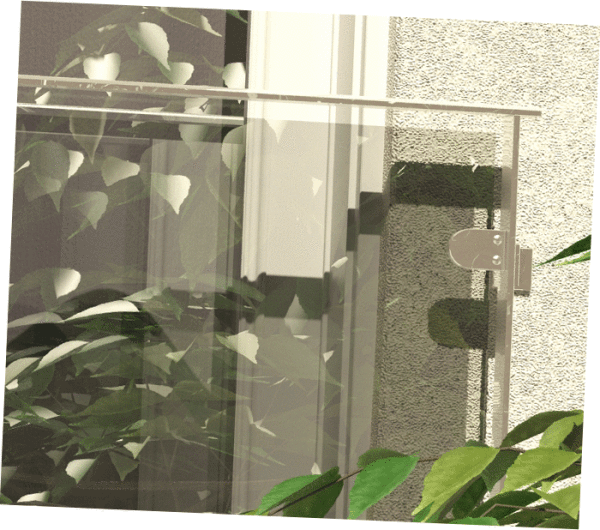 The clear glass panel is 10mm CE Certified Toughened Safety Glass. The balcony is delivered as two separate parts.